This project was built twice. 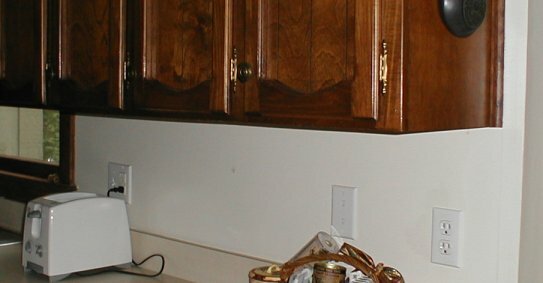 The stain color on our cabinets are difficult to match. It requires two applications - colonial maple underneath early american works well. On my samples it matched perfectly. Unfortunately, if you let the first coat dry prior to application of the second (like when you take a break between the two coats)...the second will not penetrate as heavily - no joy! Anyway, the second time it came out perfect...it's hard to tell they weren't built together. I'm quite pleased.